Tigress's confession. 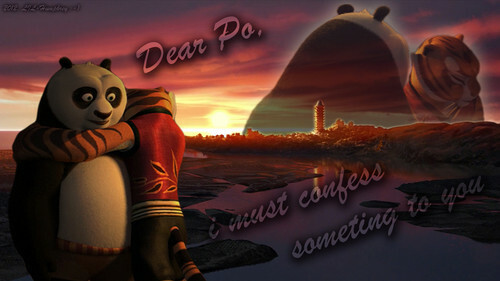 It's hard to say for her ... but finaly she can't hide it anymore.. HD Wallpaper and background images in the kung fu panda club tagged: kung fu panda kung fu panda tigress po love. This kung fu panda fan art might contain signo, cartel, texto, pizarra, and letrero.